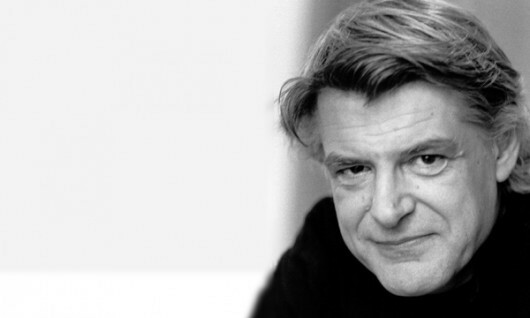 I couldn't write at length about Greek composer Georges Aperghis in my preview of Saturday's concert by International Contemporary Ensemble at the MCA, where the program includes two of his compositions. To be honest, I'm playing catch-up where Aperghis is concerned—he wrote a lot of music—and I've still got a long way to go. But I would like to draw attention to the mind-boggling Recitations (1977-'78), an epic solo work for female voice that makes crazy demands on the performer. It's getting a rare local performance tonight at Corbett vs. Dempsey by ICE soprano Tony Arnold, and the concert is free. Smatterings of French words are strewn throughout Recitations, but most of the sounds are abstract—jarring coughs, mutterings, swoops, and cries that sound like the ranting of a madwoman. It's quite a ride. The good folks at UbuWeb have made available a masterful Martine Viard performance from 1992. Just listening to the work makes plain how difficult it is to perform, but I think it's also instructive to take a gander at the sheet music. Below you can check out one such example, "Recitation 8." The centerpiece of Saturday night's ICE program is a brand-new composition called Shot in the Dark, which Aperghis wrote specifically for the ensemble—it just got its world premiere last night at New York's Miller Theatre. An excellent new CD from Kairos titled Teeter-Totter collects four works from the past decade that demonstrate the stark power of Aperghis's music. Contretemps (2005-'06) showcases his fascination with the female voice: soprano Donatienne Michel-Dansac juggles French words with abstract, made-up sounds a la Recitations, backed by bracingly dissonant instrumental arrangements performed by Klangforum Wien. Astringent strings, martial brass, and glassy layers of piano, accordion, and reeds surround her crystal-clear exhortations. The album also includes a powerhouse solo bass piece called Parlando (2007), written for and performed by Uli Fussenegger, along with two related ensemble works: Seesaw (2008) and Teeter-totter (2008), which feature pairs of instruments. The latter is more visceral and unsettling, but not by much. 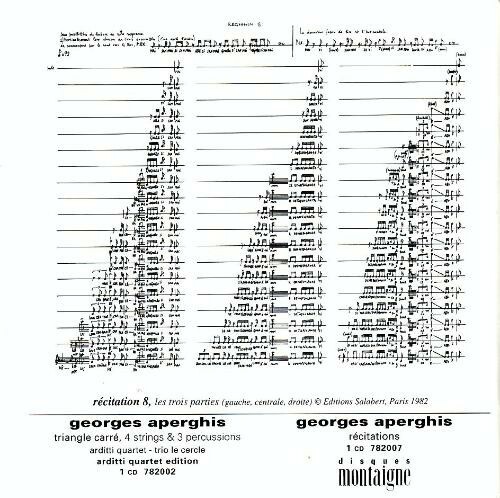 Below you can listen to "Seesaw," where the various pairings engage in what Aperghis calls "mirror-play," shaping simple patterns and phrases and scrabbling around within those parameters.